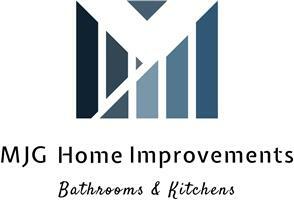 MJG Home Improvements (Bathroom & Kitchens) - Bathrooms, Kitchens, Painter/Decorator based in Thatcham, Berkshire. Home Improvements, Property Maintenance, Kitchens and Bathrooms, Painting and Decorating and more, we can help tend to all of those jobs around your home, office or business. For your No Obligation free quote, contact us today at [email protected] And please provide a contact number! We at MJG Home Improvements pride ourselves on offering a prompt professional service. We provide high quality workmanship, attention to detail and are a reliable and trustworthy business. We work with you to achieve the best and most cost effective conclusion to your particular project. We offer Bathroom & Kitchen services in and around Newbury & Didcot and surrounding areas, and we specialize in New Kitchens & Bathrooms. We are here to help with all those little jobs that need to be done... and some of the bigger ones too! We provide an efficient, cost effective and professional service to both domestic and commercial properties. For property maintenance and home improvements in the Newbury area, look no further than MJG Home Improvements! MJG Home Improvements & Property Services offer all aspects of property maintenance from hanging and painting in Newbury to a full kitchen and bathroom installation in Winchester. We take pride in offering a great service at very affordable prices. All work is undertaken but we are kitchen and bathroom specialists, we also do interior & exterior decorating, roofing, gardening and landscaping, refurbishment, joinery and plumbing work. MJG Home Improvements & Property Services, we are fully insured.